+ STUDY. JESUS ​​AND THE DEDICATION FEAST. BY FABIAN MASSA. + STUDY. JESUS ​​AND THE DEDICATION PARTY. BY FABIAN MASSA. 22 The Feast of Dedication was celebrated at Jerusalem at that time. It was winter. John 10.22, Bible of Jerusalem . A. It determines the "here and now" of the discourse John 10: 22-42: The place the city of Jerusalem, and the time during the Feast of Dedication, which occurs in December (two months after the preceding discourse ending in John 10:21). B. It was winter this is also an important fact. Traditionally Christmas is celebrated in December. In Luke 2: 8-20 Luke recounts the announcement of the Angels to the shepherds who kept the sheep in the field of Bethlehem (just 9 km from Jerusalem) that El Salvador was born. As we saw in the study of John 10: 1-12, pastors spent the night in the field with their sheep alone in the less cold seasons. In winter they made the flocks rest in the corporate corrals of the city (John 10: 1-5). Therefore Jesus was not born for December, as it is traditionally celebrated, but according to John 1:14, the Word tabernaculized, that is to say it made dwelling among us in the Feast of Tabernacles, that is to say for the end of September - beginning of October. C. Feast of the Dedication: In the year 168 a.C. Antiochus Epiphanes invaded Jerusalem and desecrated the Altar of the Temple of the Lord sacrificing a sow (1 Maccabees 54): "On the fifteenth day of the month of Kisrael in the year 145 the king raised up on the altar of burnt offering the abomination of desolation. They also built altars in the cities around Judah. ​​" It was a time of great oppression and religious persecution for the People of God. The Maccabees rose up in arms against the invader (1 Maccabees 2). After many struggles the Maccabees finally recovered Jerusalem and as a first step they perform the Temple Purification (1 Maccabees 4.36). The Feast of Dedication recalls this historical fact the victory that God gave the Maccabees over an army infinitely superior in men, arms and resources. Jesus also honored this feast. 1. It was a historical fact. Because this book is not within the Protestant Canon, it is that the vast majority totally ignores this important part of history. 2. The desecration of the Temple was the fulfillment of a prophecy of Daniel 11: 29-31. If we do not know the story, we will not be able to see the fulfillment of the prophecies. 3. In turn it is a type (an advance) of how the Antichrist will profane the Temple or its equivalent in the End Times, prophesied by Jesus in Matthew 24:15. Every detail that is written in The Word is important. 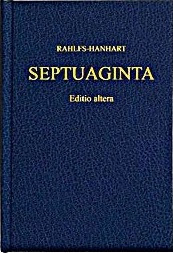 The deuterocanónicos are texts and passages of the Old Testament of the Judeo-Christian Bibles that are not included in the Hebrew-Aramaic Jewish Tanaj, but that yes they are included in the Greek Bible of The LXX, called the Septuagint - dated from 280 to 30 BC - the text used by Jewish and Israeli communities throughout the ancient world beyond Judea, and then by the early Christian church of Greek speech and culture ] ". While the Deuterocanonical books were written in "God's Time of Silence," (that is, in the 400 years that separate Malachi from Matthew in the Hebrew Canon Bibles), that does not mean that nothing has happened or that God has not Acted, indeed the Maccabees would never have been able to deliver Jerusalem if God had not been with them. Maccabees 1 and 2, like most of the Deuterocanónicos books contribute data for the study of the customs, the culture and the history. Relate the different passages: What in computer science is called "cross information". In order to "see the fulfillment of the prophecies" it is necessary to know the history. In order to understand what is going to happen in the "End Times", we must understand what happened in the past, that is to know how to identify the Types (facts or historical advances) that are a "shadow" of what will happen (Anti- The Fulness of Time.